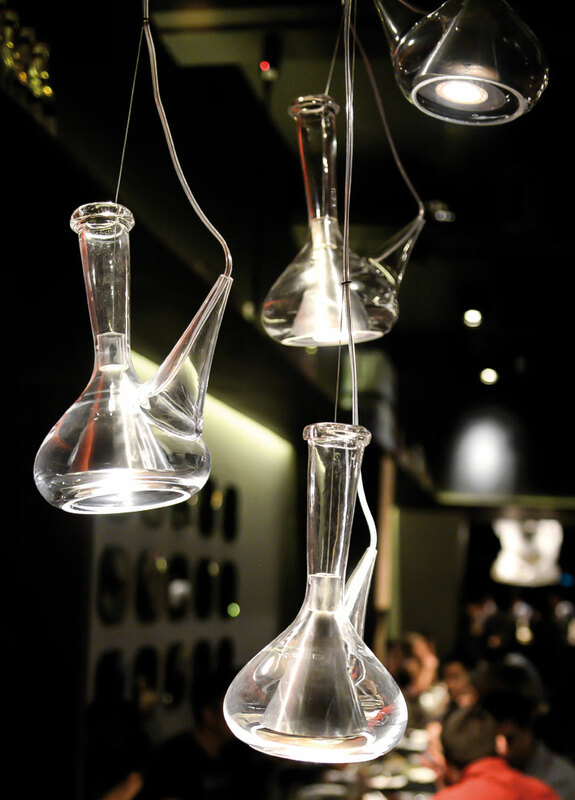 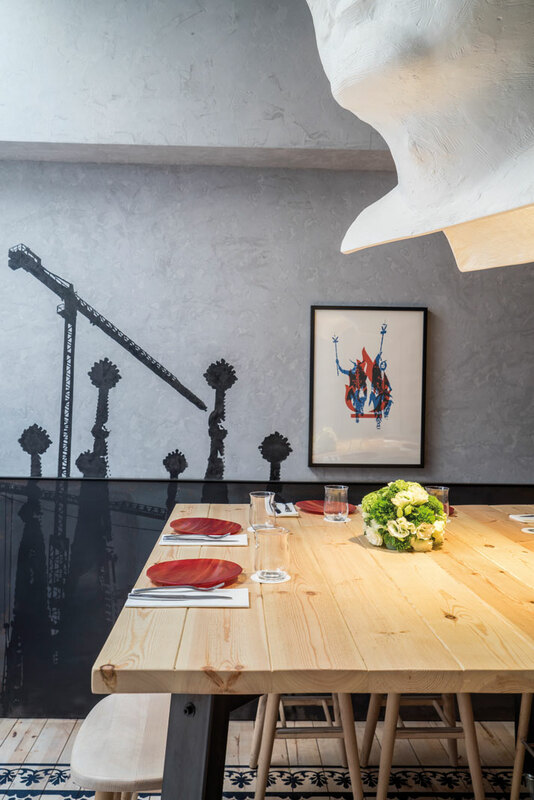 Catalonia’s vibrant culture and fiery spirit have inspired the new FOC restaurant in Singapore, a collaboration between Michelin-starred chef Nandu Jubany, chef Jordi Noguera and award-winning mixologist Dario Nocentini. 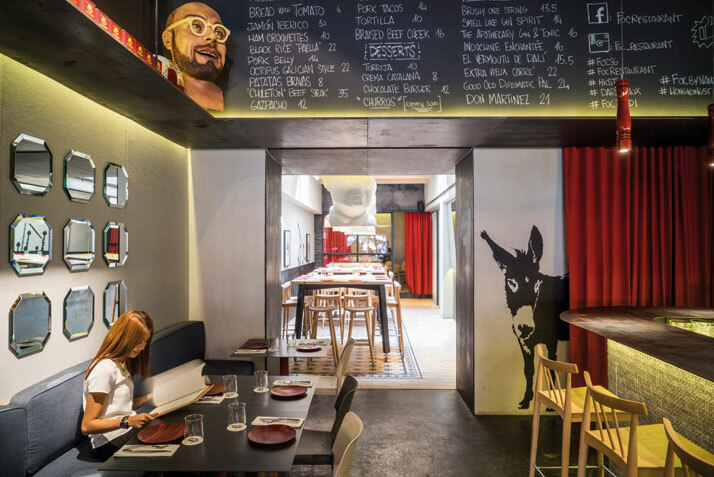 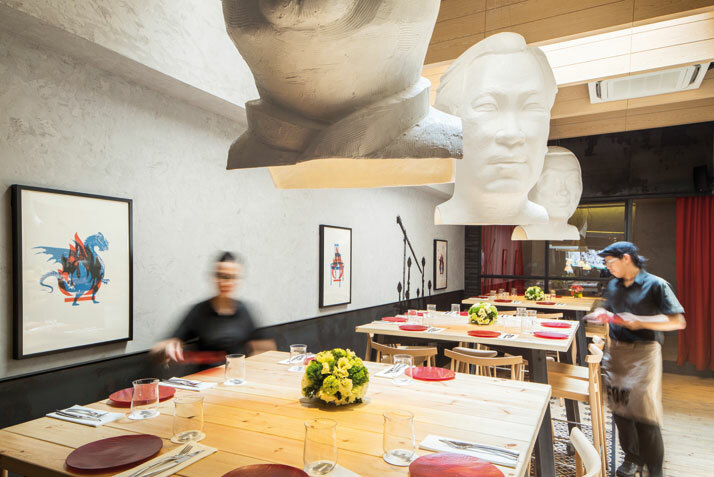 Completed in October 2014 by Barcelona-based design studio Lagranja, the restaurant’s interior is a playful tribute to Catalan culture, reflecting the restaurant’s motto of ‘‘fine fun food’’ seen in the giant papier-mâché masks called ‘capgrossos’ (typical of local festivals) that hang from the ceilings and the entire bar which has been covered with domino tiles (an inherently popular pastime in Spanish bars). 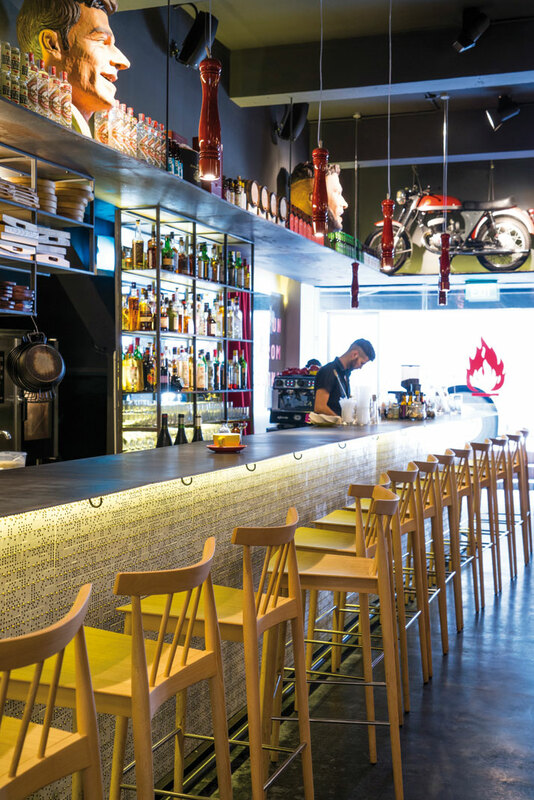 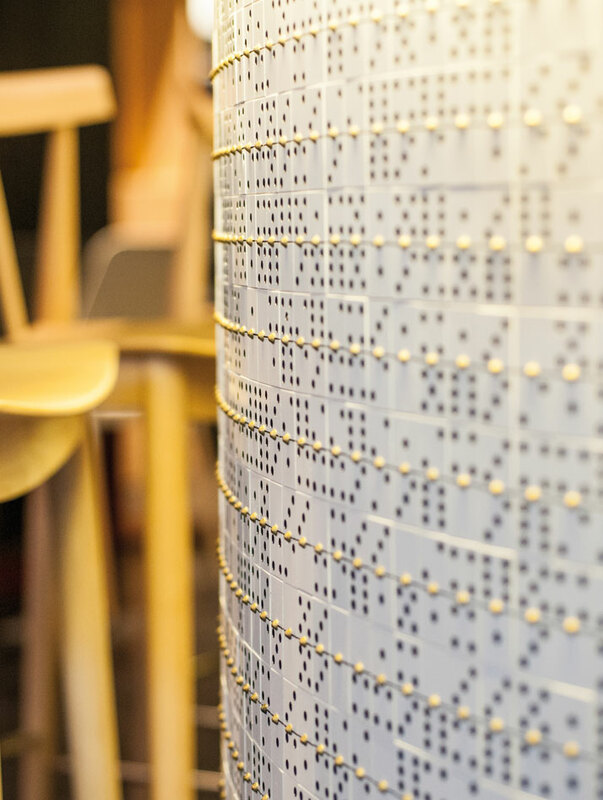 FOC, which means ‘fire’ in Catalan, also pays tribute to Catalan design, and features iconic cruets and pepper mills by architect Rafael Marquina and an authentic Montesa Impala motorcycle. 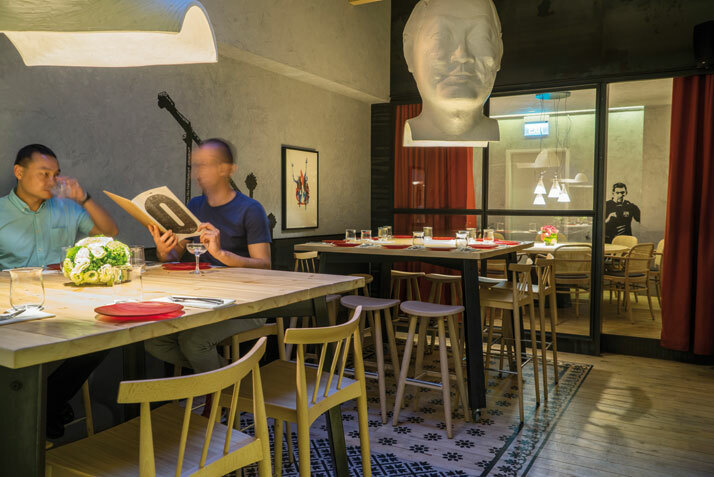 Far from being a ‘folkloric theme park’, FOC restaurant is the ideal setting for Nandu Jubany’s gastronomic creations — a true ‘home away from home’ for contemporary Catalan cuisine in the heart of a bustling Asian metropolis. 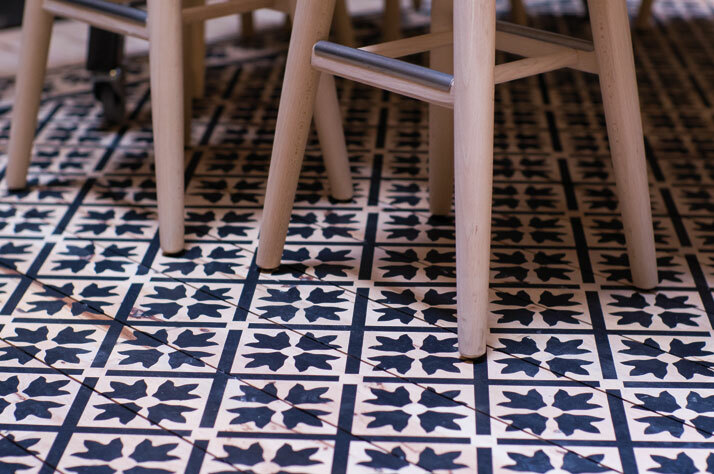 photo © Caleb Ming, Nicholas Goh, Shade Photography.